As you know Microsoft has recently had a new arrival with the Windows 8 Consumer Preview…. 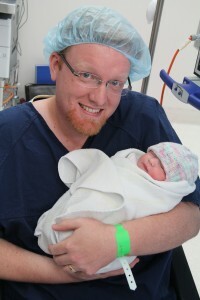 But I have also had a new arrival myself called Ellie Alana Burchill and was born 5/3/12 at a healthy 7 pound 13 ounces . So you will need to forgive me if I don’t post as often over the next few weeks as I might be a bit pre occupied playing with windows 8 consumer preview being a dad..
Update: Just for the record this is my third girl….